The media has been pretty quiet about it this year, but if you hadn’t noticed Christmas is almost upon us. We love this time of year, because we get to play at all sorts of lovely venues to help with their Yuletide celebrations. 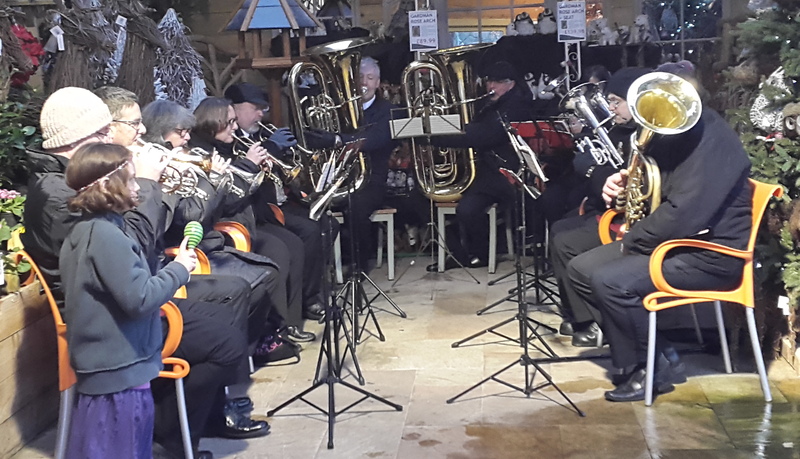 So far, both bands have been busy Carolling at various locations in Nottingham, including a couple of garden centres (Brookfield’s and Timmerman’s) and both main bus stations in Nottingham town centre. Carlton Brass played to a lovely audience in Calverton last Friday night and we have quite a few more events to come. We hope that you can get to see and hear us somewhere near you before Christmas is over!